“If you’re under him, you ain’t getting over him,” sings Dua Lipa in “New Rules”, the sixth commercial single off of her self-titled debut. The making of the singer’s first album has been a long journey, stretching all the way from early 2015 to June of this year, when the album finally reached the listeners around the world. Two months ago, Warner Bros UK president Phil Christie praised Lipa’s drive and hard work and announced that there would be “at least another two singles to come off her record.” TIME magazine called her one of the “strongest new voices in pop music”, including her in their “Next Generation Leaders” issue. Here is an explanation of who she is and why you should stop everything that you might be doing right now to give her album a play. Dua Lipa was born in London to Albanian parents from Kosovo. When she was 13, her family moved back to their home country, where Dua stayed for two years. At the young age of 15, she went back to London to chase her dreams of becoming a singer, but ended up modeling instead. It was five years later, in 2015, that she actually started working on her major label debut for Warner Music Group. Her first single was “New Love”, which was released as a promotional single in the UK for Dua to gain some momentum. The song failed to achieve mainstream popularity — it’s not great — so it ended up being a standalone single instead of being one of the 12 tracks to appear on the standard edition of her self-titled debut album. The first commercial single off of her debut effort was “Be The One”, a brilliantly put-together synth-pop anthem that later became a hit across Europe and Australia and reached the top spot on Billboard’s Dance Club Songs chart in the US. Dua followed the success of “Be The One” with “Last Dance”, another synth-pop song with some tropical house influences and a club-ready chorus. The preview single that stood out the most was perhaps “Blow Your Mind (Mwah),” an empowering anthem influenced by her experiences in the modeling industry. In the chorus, Dua showcases her vocals while singing “If you don’t like the way I walk then why am I on your mind?” directed at the criticism and judgment she has faced. The song went on to become her first to chart over on this side of the Atlantic, reaching #72 on the Billboard Hot 100, and introduced her to new masses in the United States. While her collaborations with established artists like Miguel, Sean Paul and Martin Garrix did elevate her status as an up-and-coming popstar and expand her following, the song that truly brought her mainstream success was the sixth and most recent single off of her self-titled debut. “New Rules” was pushed to radio as a single approximately a month after the release of the album this year. Its accompanying music video, filmed at a Florida motel, was a low-budget project, but its striking visuals and choreography contributed to the songs success, as did the song’s message. “New Rules” defines the steps one should follow after parting ways with an emotional partner, yet it cannot be boiled down to the widely accepted idea of breakup songs. “New Rules” is an ode to one’s self-respect and confidence, an empowering piece that reminds the listener not to doubt their decisions when it comes to relationships with men. It is a reminder that meaningful friendships are what become the support system of a person following a tough breakup. Sonically, the single is a finely tuned electropop song with hints of tropical house and EDM throughout. “New Rules” became the unofficial anthem of the summer for many in the United Kingdom and Ireland, and has risen steadily in this country throughout the fall — as of this week, “New Rules” charted in the top twenty of the all-genre Hot 100 Singles in the United States. 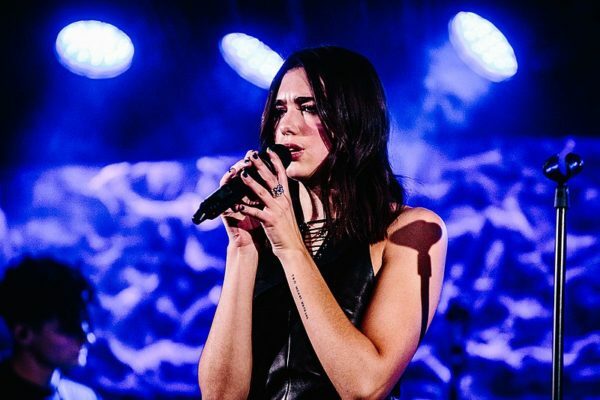 Last week, Dua Lipa announced that “IDGAF,” produced by MNEK, would be the seventh commercial single off of the album to follow up the global success of “New Rules.” The song combines the crisp sound of drums with Dua’s harsh and straightforward lyrics, directed at an ex-lover who tries to find their way back into Dua’s life after fame and fortune. While the singles do make up most of Dua Lipa’s career, the album cuts that have not yet been released as singles reveal a depth to her artistry that goes beyond just electropop hits. The album opener “Genesis” is a mid-tempo pop song that alludes to the Bible in its narration of a love story. “Garden,” “Begging” and “Homesick” are all personal pieces about Dua’s rise to fame and the rocky relationships she went through along the way. The record is full of catchy and confidence-boosting, deeply personal tracks that create an unforgettable pop album, and in an era where staple names in the pop music scene of this decade like Katy Perry and Lady Gaga are seeing a gradually declining trend in their careers, Dua Lipa is a promising candidate to become a late 2010s pop icon if she plays her cards right. Contact Ugur Dursun at mudursun ‘at’ stanford.edu.